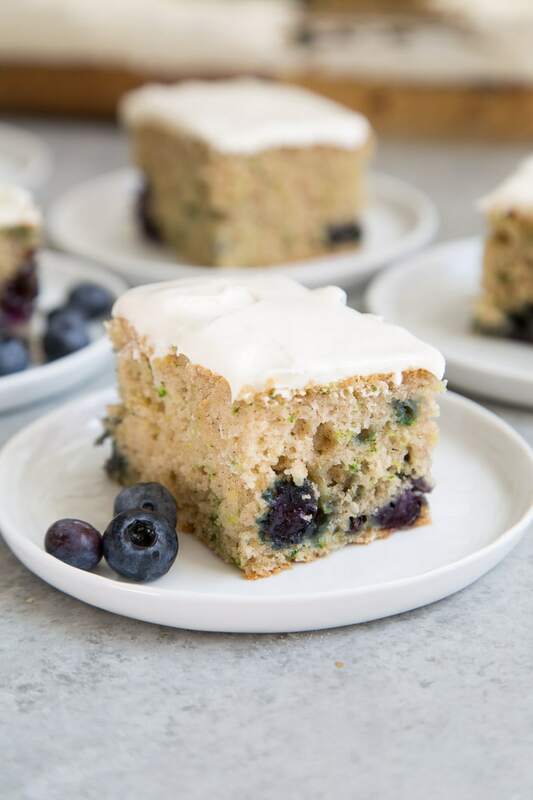 Take advantage of late summer’s bounty with this Blueberry Zucchini Sheet Cake. 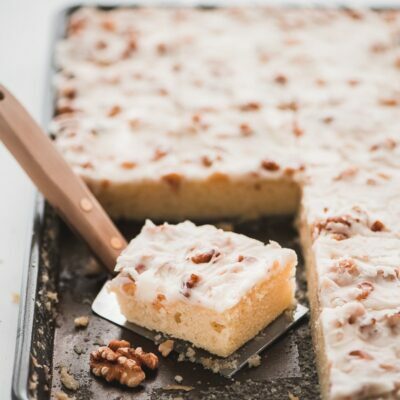 When you’re craving something sweet, sheet cakes are a great choice. They’re easy to make and perfect for sharing. Best of all, no frosting skills are necessary! 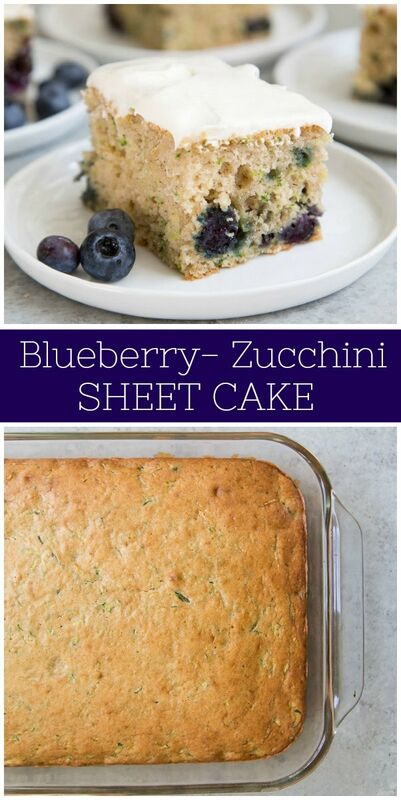 This super moist and flavorful sheet cake features shredded zucchini and fresh blueberries. Instead of butter, the cake batter is whipped together with a mixture of vegetable oil and Greek yogurt. For added flavor, it is spiced with ground cinnamon. For more warmth, you can also add a touch of ground nutmeg. 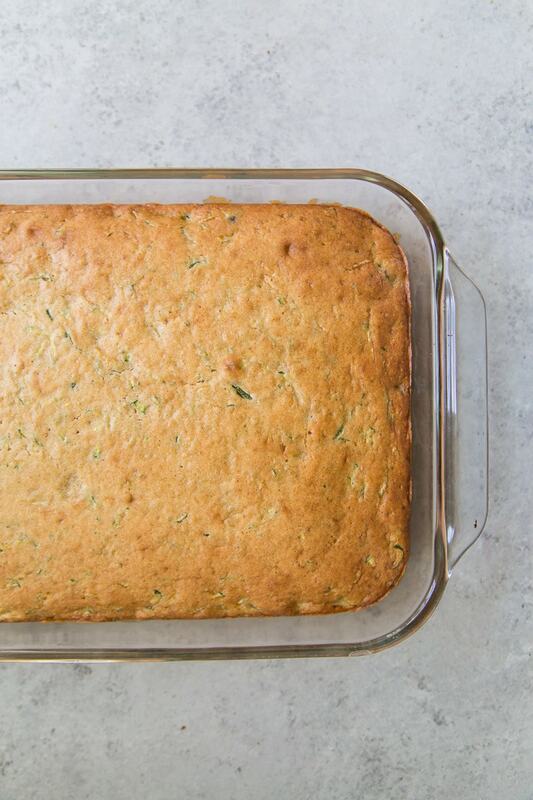 What is the best zucchini to use for cake? Depending on the size of your zucchini, you may want to avoid the larger sizes. Small to medium-sized zucchinis are fine. You won’t taste or notice the seeds at all. However, larger zucchinis (those with a diameter greater than 2-inches) tend to have bitter tasting seeds. Split the zucchini in half and use a spoon to scrape out the large seeds. This cake recipe doesn’t require the use of a stand mixer. Simply mix the cake batter by hand. 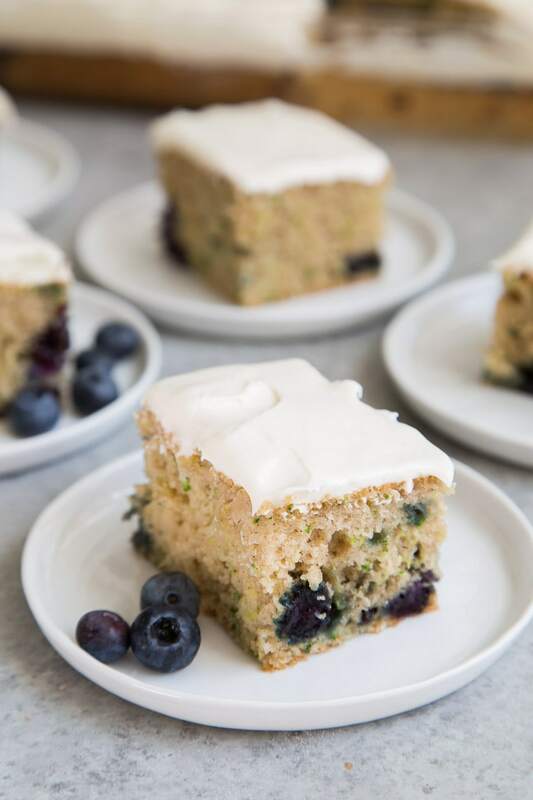 The baked blueberry zucchini sheet cake is perfectly tasty on it’s own. Slice it into little snack cakes to enjoy as you please. 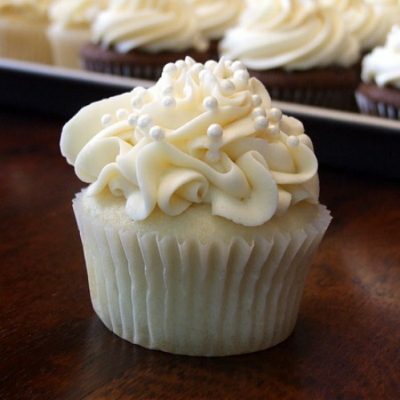 However, if you want something a little sweeter and more decadent, go ahead and spread on some cream cheese frosting! This quick and easy frosting is made by beating together softened cream cheese, unsalted butter, and powdered sugar (confectioners’ sugar). 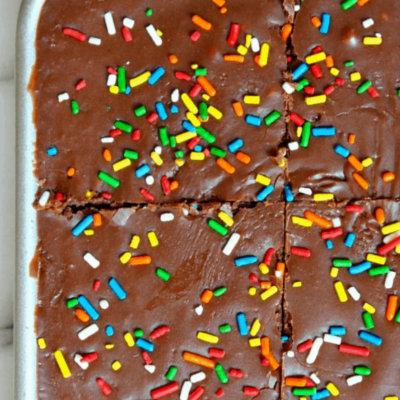 Make sure your sheet cake has completely cooled before adding frosting. Otherwise, the frosting will melt into a messy puddle. 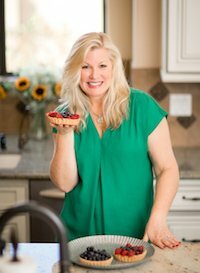 Feel free to top the frosted sheet cake with fresh blueberries or toasted nuts. 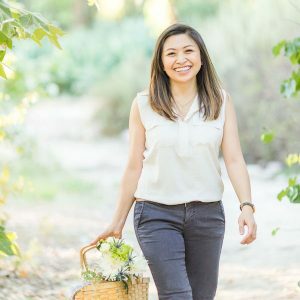 If you’re looking for more zucchini recipes, try pineapple zucchini bread, zucchini chocolate chip muffins, brown butter zucchini cake, classic zucchini bread or zucchini fritters. 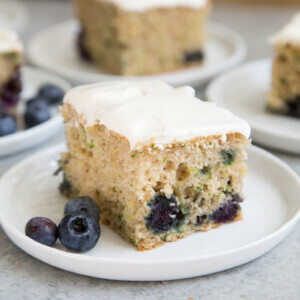 This moist and flavorful sheet cake is studded with shredded zucchini and bursts of blueberries. 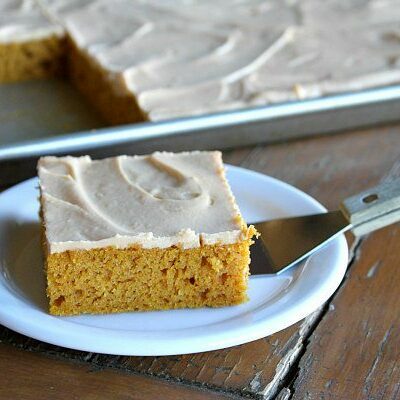 It is topped with a quick and easy cream cheese frosting. Preheat oven to 350 degrees F. Spray a 9x13-inch baking pan with nonstick spray and set aside. Shred the zucchini using the largest holes of a box grater (or use the shredding attachment of a food processor). Use a kitchen towel or paper towel to squeeze out the extra moisture from the zucchini. Set aside. In a large bowl, whisk together the oil, yogurt, eggs, and sugar until smooth. In another bowl, whisk together the flour, baking powder, baking soda, cinnamon, and salt. Add the dry mixture to the wet mixture in two additions. Stir to combine. 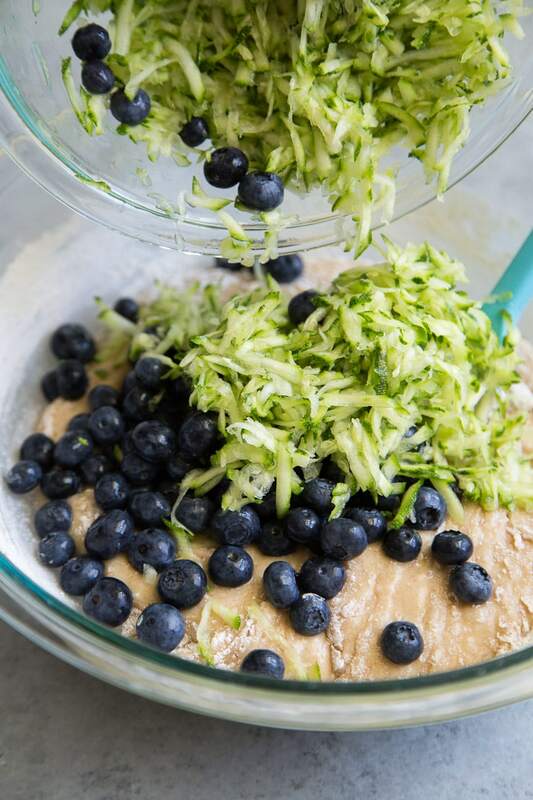 Before the mixture is thoroughly combined, add the zucchini and blueberries. 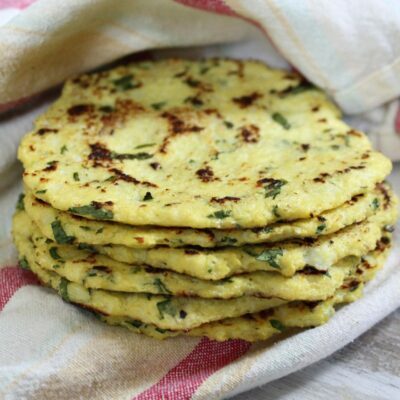 Fold those in until there are no longer dry streaks of flour. Transfer the batter to the prepared baking pan. Bake for 30 to 35 minutes, or until a toothpick inserted into the center of the cake comes out clean. Allow the cake to completely cool to room temperature before frosting. Use a hand mixer to combine the cream cheese and butter. Once creamy, add the vanilla, salt, and powdered sugar. Mix on low speed until the frosting is smooth. Scrape down the bowl as needed to ensure thorough mixing. 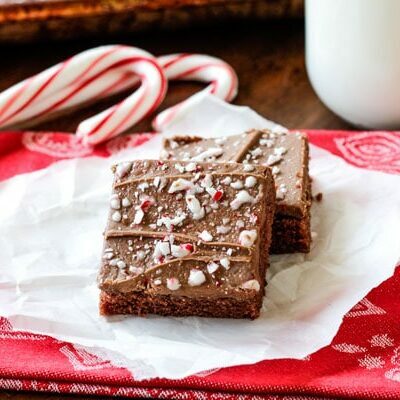 Baking time will vary depending on whether you are using a glass baking pan or metal baking pan.